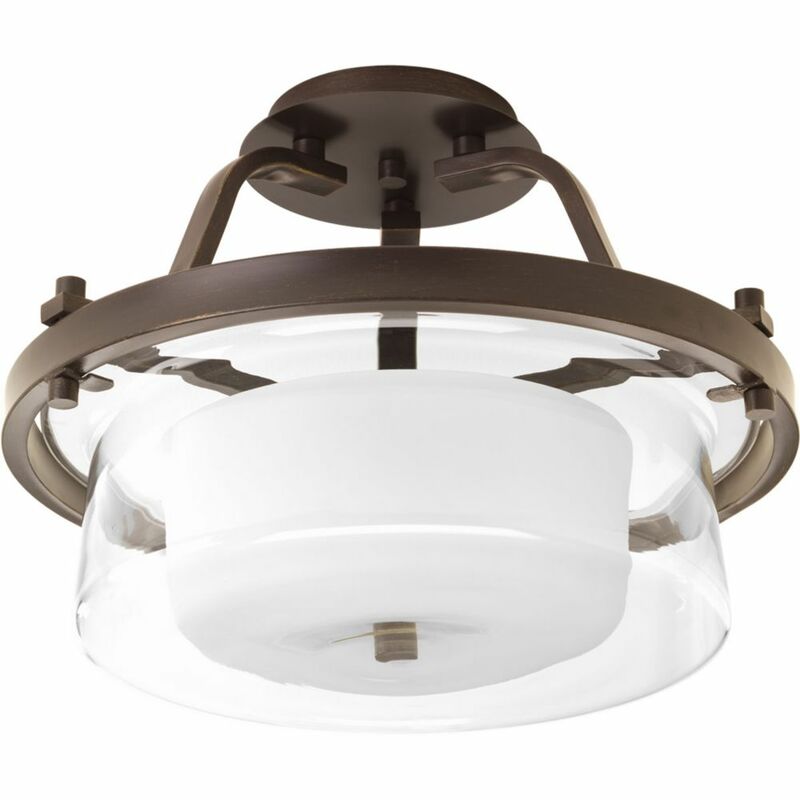 Indulge Collection 2-Light Antique Bronze Semi-Flushmount The Indulge collection provides you a decorating option to add both warmth and glamour to your home. Polished glass shades provide a gleaming surface that is softened by a uniform frosting on the glass interior for uniform, diffused illumination. Clear decorative accents add to the look while the warm, bronze-tone frame provides a distinctive silhouette.